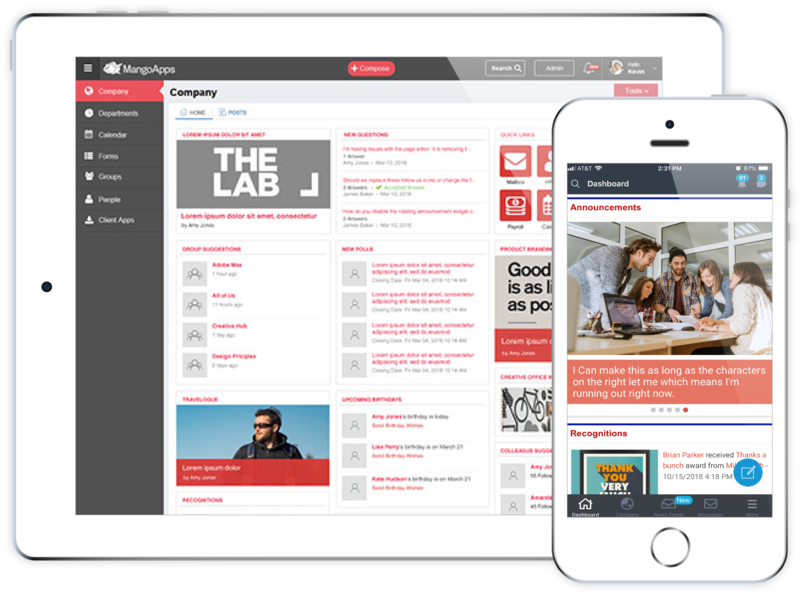 MangoApps for mobile team collaboration offers the same powerful Intranet for non-desk employees as the ones who are in front of their PC. 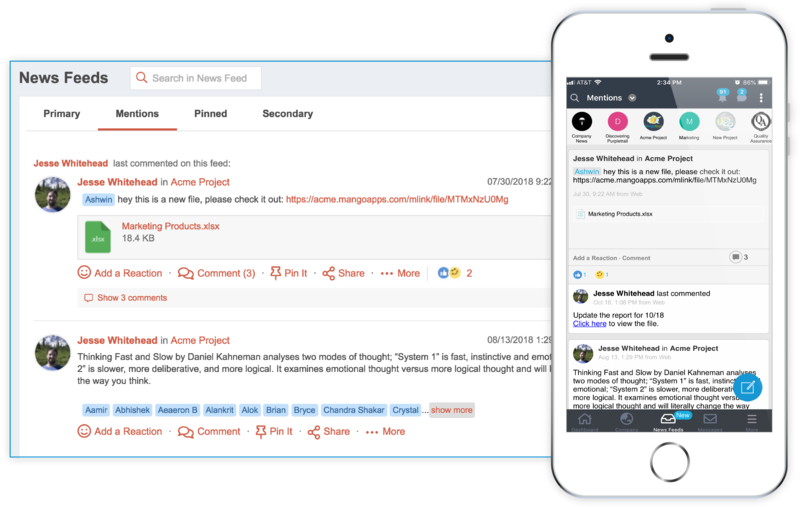 This provides a smart and easy-to-use information layer that connects multiple sources of news and information across the company. MangoApps brings team collaboration modules and features to any employee on the go. These employees get access to the news feed, private messages, projects, groups, and everything else the desktop users have access to. Setting a custom status is a great and unobtrusive way to let co-workers back in the office know any users current status on-the-road, without pushing a post or notification back to them. Reach out to all employees, not just information workers. 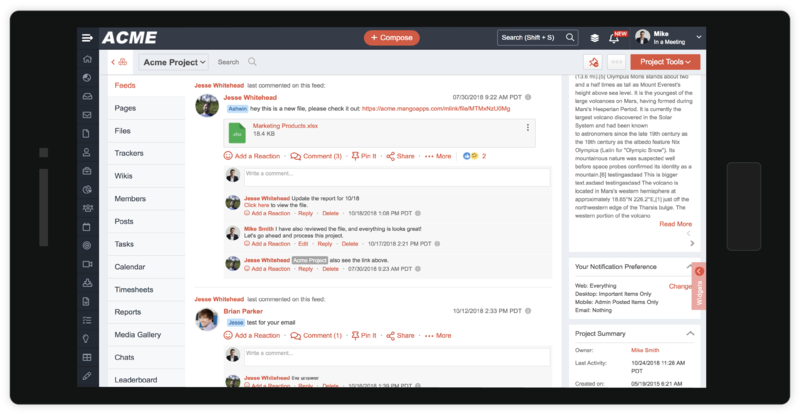 News Feed aggregates all information and updates from across an employee’s teams, on one screen, so they are always in the loop no matter where they are. Create focused one-to-one and one-to-few conversations directly from MangoApps mobile app with rich-text included. No need to remember email addresses, or wade through the distractions of an email inbox. Users send private messages from their mobile app to any employee, even a frontline or production worker with no email address. As with private messaging on web, users can also send and receive email messages to system approved internal or external email addresses. 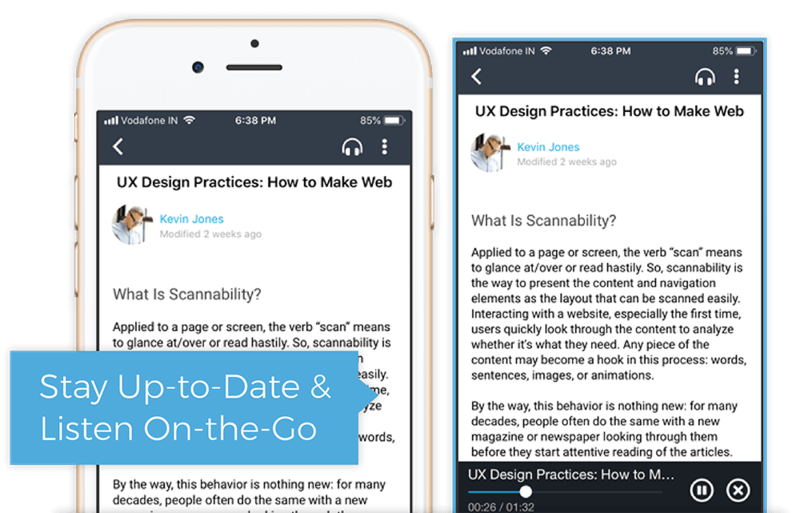 Work across multiple projects, and keep tasks in check by monitoring them in the mobile app. 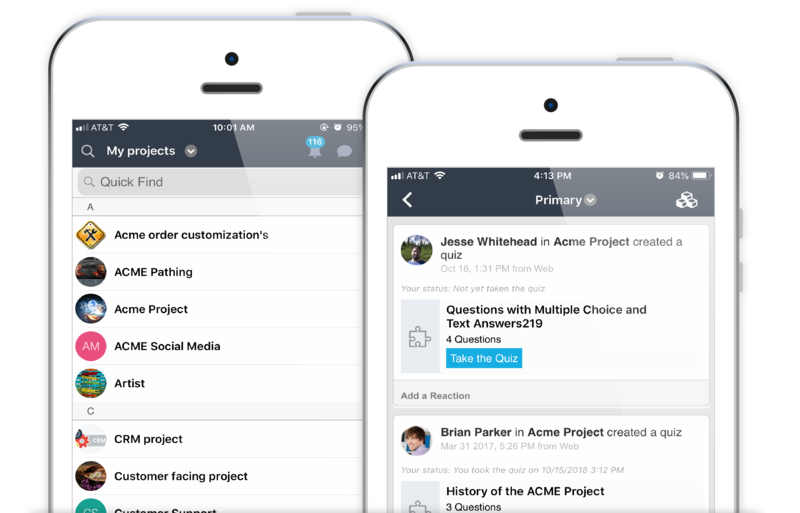 Share an update, ask a question, run a poll, or chat while getting tasks down. Anyone away from their desk remains connected and productive from anywhere. Easily access work documents, presentations, and photos while on the go. Get to files when offline by quickly saving files for offline access so they are always available as needed. Users easily view the same files on mobile as they would on the desktop. 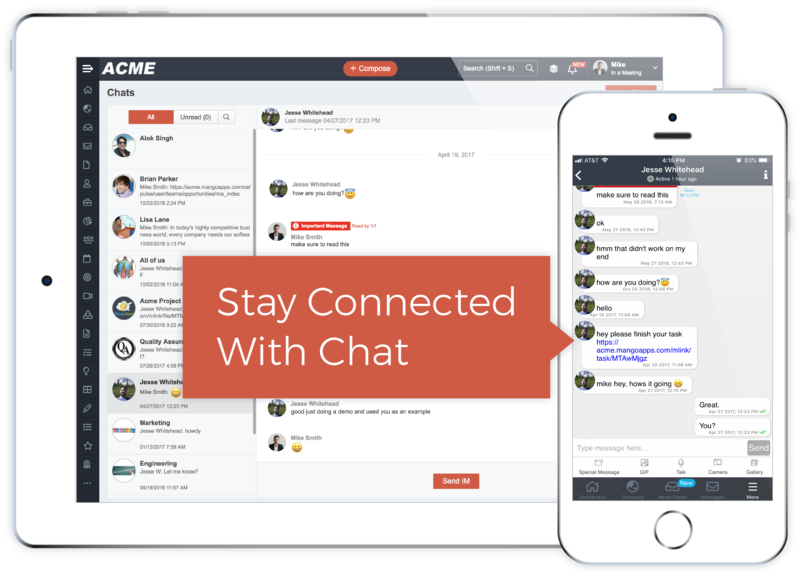 MangoApps for mobile is the fastest way to be in touch with employees and chat with them, no matter where they are, across any device. It lets users quickly and securely connect with colleagues and teams to get the answers they need to get work done. 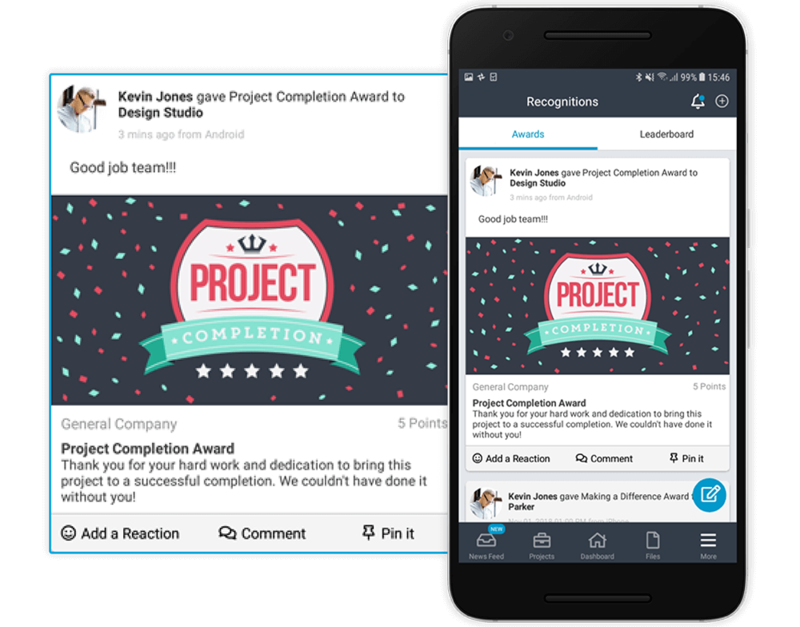 Users can share posts from the app with multiple teams, groups, departments, projects, or the company. Creating posts on mobile is easy, allowing users to quickly select their audience, add text, media and files right from their mobile device. When viewing posts, users can filter by category or type, and voice enabled posts can be listened to directly from the post or subscribed to as a podcast. 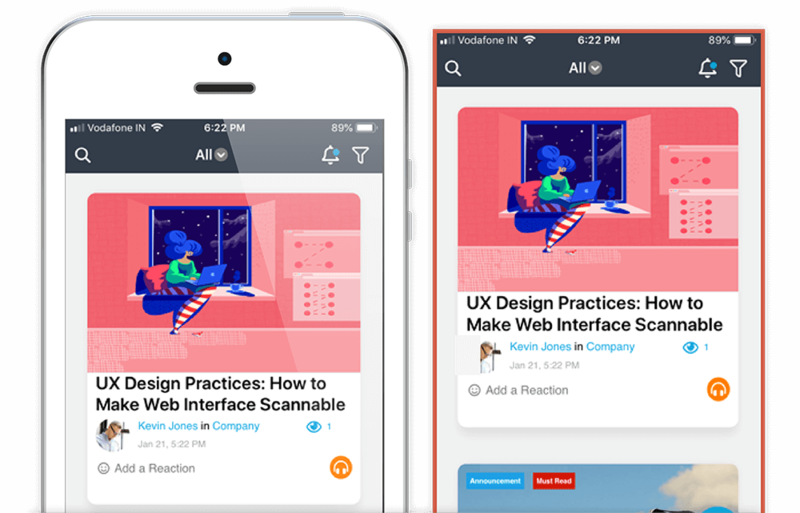 Podcast enabled posts not only make it easier than ever to stay up to date with company news, announcements and newsletters, but allows various digest options fit the listening preference of your users. Users can subscribe to posts in Apple podcasts for listening on the go. 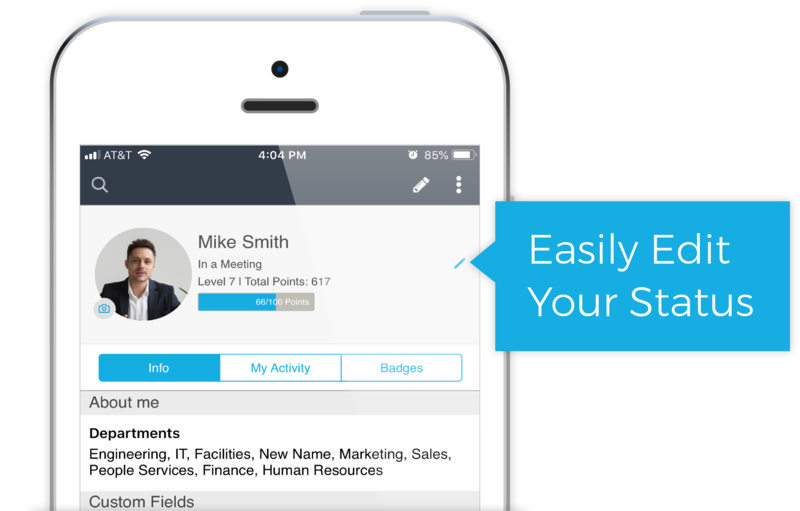 Recognize employees, supervisors, teams, and specific teammates right from the mobile app. Endorse others for their strengths, while bringing each employee’s contributions to life. 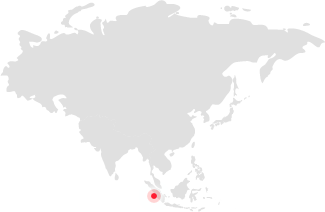 The awards are chosen from a pre-defined list of categories, include an image, and personal message. 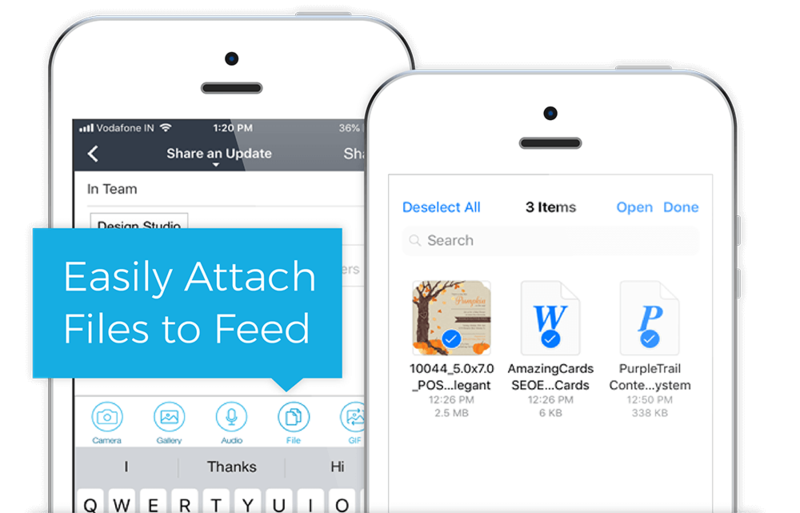 Mobile users can attach files from their iPhone or Android device to any update, post, private message or IM. On iOS 11 and latest versions of Android, multiple files can be attached at a time. 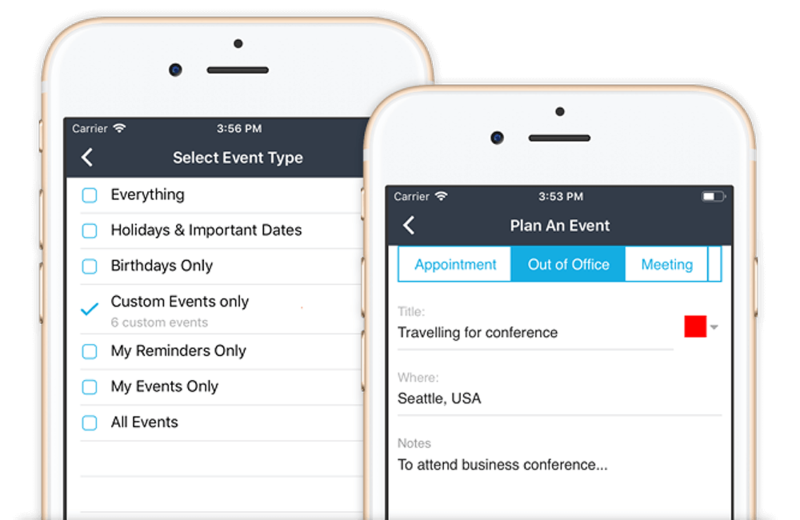 With the fully featured mobile calendar built right into MangoApps, users can create any type of event including custom events from the mobile app. When viewing, events can be filtered to display by category or type. Lost or stolen? No worries, your data is still protected. Remotely logout a user and delete MangoApps application data on a lost or stolen devices. Further enforce all employees to set a secure PIN and with all communication from any device being encrypted over HTTPS, your company's confidential information is safe. Department feeds, posts, pages, files, and are accessible, no matter where the user is. Reach all department employees to ensure engagement and acknowledgement of important updates and more. Secure employee directory that helps any user find the right people in the company, regardless of when they need them or from where. Never miss birthdays, holidays, and other important company events and dates with helpful mobile notifications. MangoApps questions module is available for use on iOS and Android devices. Users can ask questions, provide answers or view/filter responses as they browse. 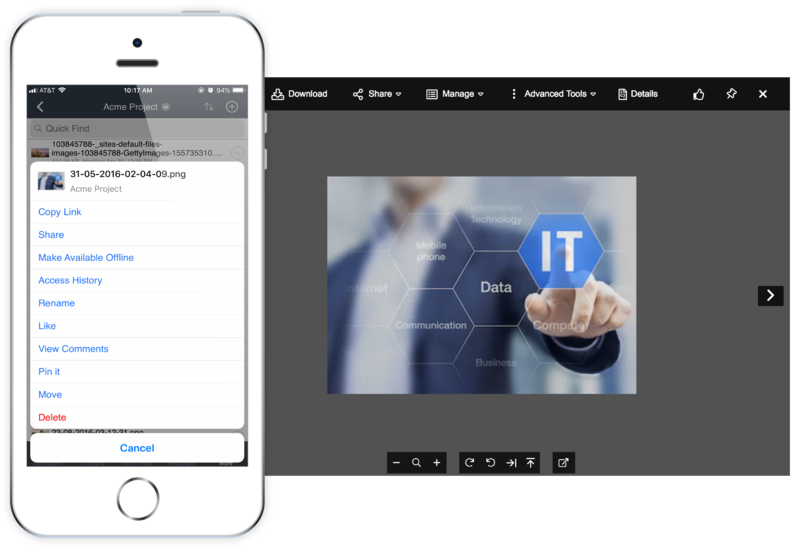 In addition to managing files on the go, mobile users can set and etc meta data, custom fields, and hashtags right from the mobile app. Give employees access to all of the tools and information on MangoApps from anywhere, anytime. Increase the exposure and engagement of content or anything important by ensuring a more global reach. 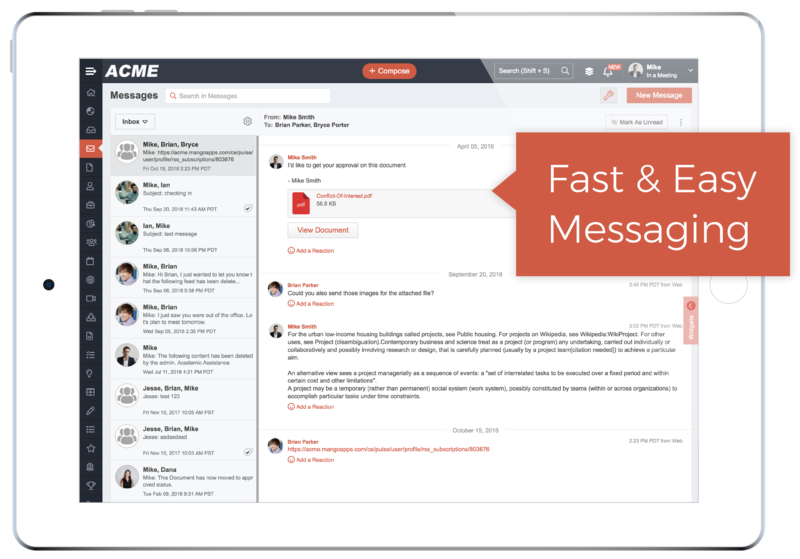 Keep employees in sync with each other, with immediate access to email replacing messages or chat.